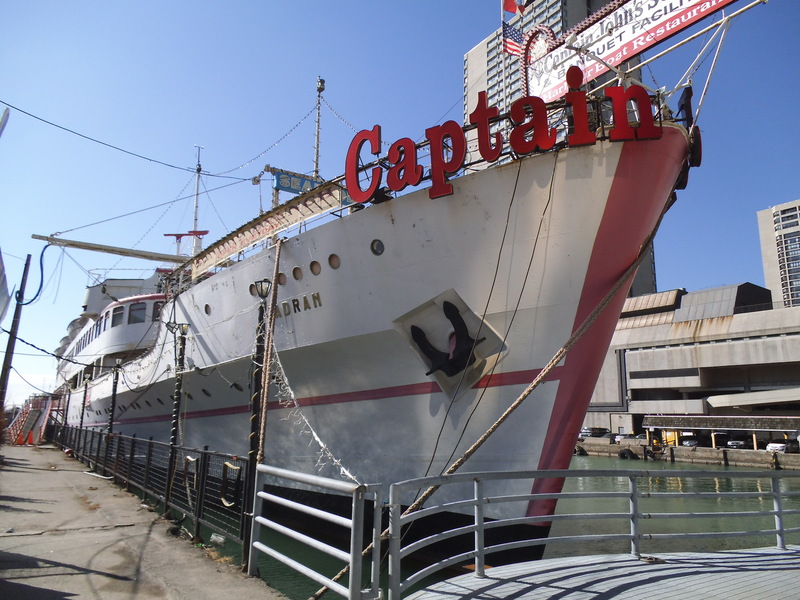 Today, May 28th, 2015, Toronto bid farewell to the Jadran, the late home of Captain John’s Seafood restaurant. The ship left its berth at the foot of Yonge Street under tow, and brings to an end a long battle of what should happen to the ship. The restaurant had closed a couple of years ago. The Jadran arrived in Toronto back in 1975. The main fight for the removal of the Jadran came from a new condominium built right beside the ship, and the fact that the restaurant owed the city money in back taxes, utility costs, and rent. A video clip of the departure can be found on Youtube, here. 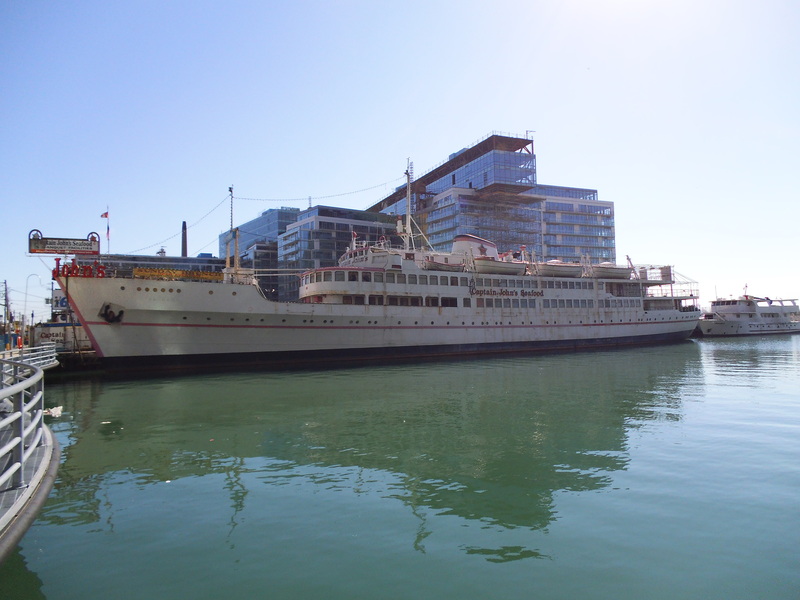 This marks a sad day for Toronto’s Harbourfront. There was so much that could have happened to the ship. The main suggestion that I thought of would have been for the City to convert the ship to a museum and tourist office. 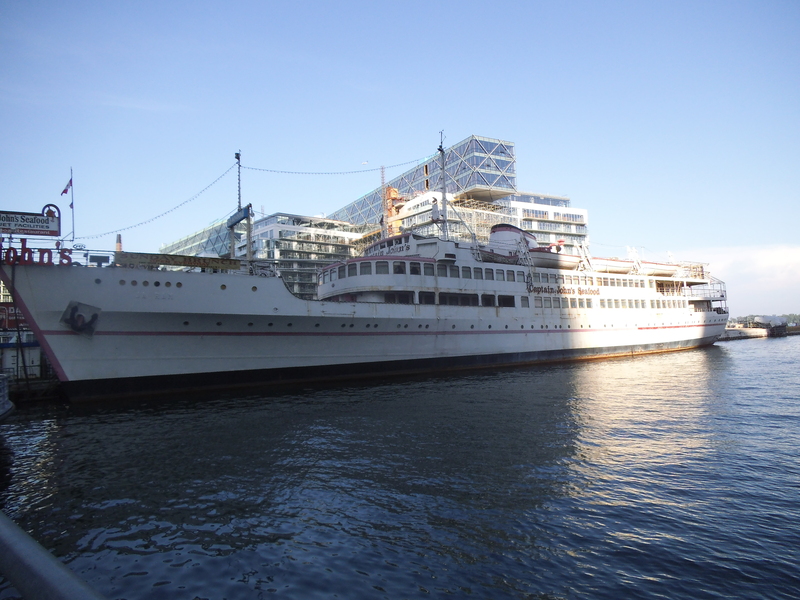 The museum could explore the city’s nautical history including the city’s ferries, the SS Noronic fire, and Lake Ontario. A tourist office would also bring tourists in, while giving them a chance to walk the deck in nice weather with view of the Toronto Harbour. It is a shame that such a beautiful ship is being scrapped. All I can say is that the Jadran may be gone, but she will not be forgotten! This entry was posted in General and tagged Captain John's Harbour Boat Restaurant, Lake Ontario, MS Jadran, The Jadran, Toronto Harbour, Toronto Ontario, Toronto waterfront, Yonge Street. Bookmark the permalink.